Lionel Andres Messi Cuccittini (born on 24 June 1987 in Rosario, Argentina) is an Argentine professional footballer who plays as a forward for Spanish club Barcelona and Argentine national football team. Often considered as the best player in the world and regarded by many as the greatest of all time, Messi has the record-tying five Ballon d'OR awards and a record of five European Golden Shoes. He has spent his entire professional career with Barcelona where he has won 32 trophies, including nine La Liga titles, four UEFA Champions League titles, and six Copa Del Rey. 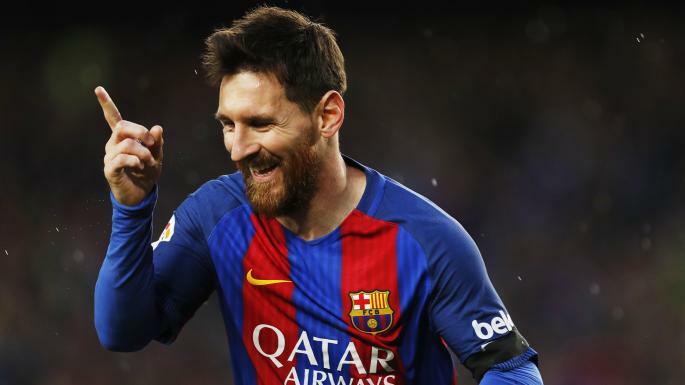 Both a prolific goal scorer and a creative playmaker, Messi holds the record for most official goals scored in La Liga (383), a La Liga season (50), a club football season in Europe (73), a calendar year (91), EL Clasico (26), as well as those for most assist in La Liga (149) and the Copa America (11). He has scored over 600 senior career goals for club and country. This is a short article. Hope you like it!